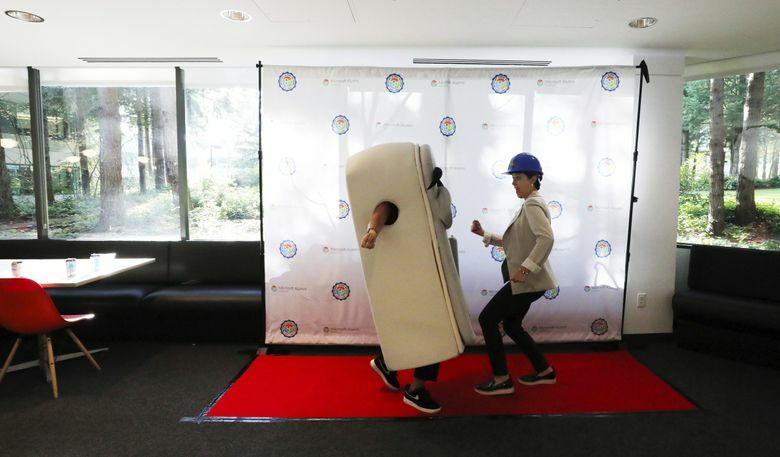 Microsoft’s Building 2 — one of the first to be built on the company’s sprawling Redmond campus — was turned into a shrine to nostalgia Saturday. Each office down a long hallway of the X-shaped building represented a different memory. A completely tin-foiled room commemorated a workplace prank that once hit someone who took a long vacation. One room featured the products Microsoft has done away with, including Zune music players and children’s toys. Another had a whiteboard packed full of handwritten alumni memories of Lake Bill, the pond in the center of Microsoft’s original set of buildings on its campus, and named for the company’s founder. 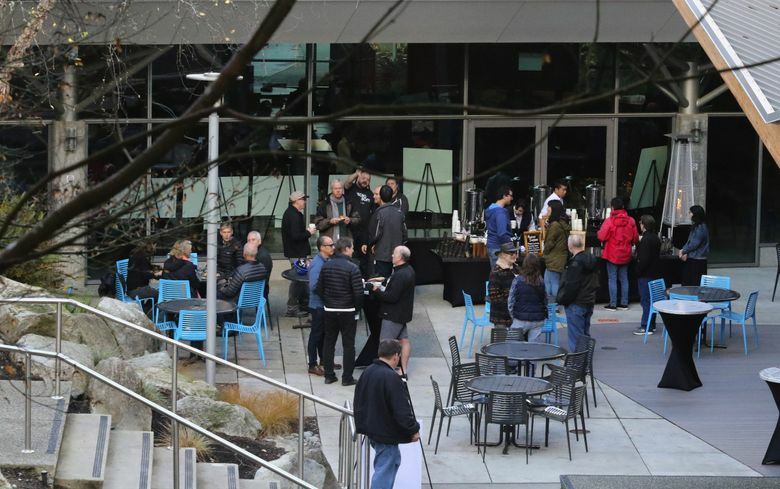 About 450 alumni of the company gathered this weekend to remember the formative years of the software company, and to say goodbye to the structures that housed them. Microsoft is planning a multibillion dollar expansion of its Redmond home to take place over the next several years. It involves knocking down the nine original X-shaped buildings, along with three other old buildings, and constructing 18 new ones in their place. It’s time for a modernization, said Rob Towne, director of real estate at the company. The new buildings will be more open and collaborative, a picture to reflect Microsoft’s new culture and changing office trends. Out with the old, in with the new. But not without a bash for alums, who reacted with pretty strong nostalgia to the renovation news, Towne said. Some even requested a museum or preservation of a building. “I had mixed feelings about it for sure,” said Ed Fries, a former 18-year Microsoftie and co-creator of Xbox, who joined the company in 1985 as an intern. Fries led spirited games on Saturday of “Swing around the Wing,” a putt-putt golf game he stumbled into creating in the late 1980s. As a young engineer, he was waiting for his code to compile while working on the first version of Excel for Windows, and moved his putting equipment into the hallway, seeking a bigger playing field. A colleague suggested he think bigger. Why not try to hit the ball all the way around the wing-shaped hallways of the building, and back to the start? Why not, indeed. Fries’ game attracted attention, and eventually he organized an official Friday night version of the game for employees. And, he is proud to report, they only broke two windows and there were no serious injuries or deaths. 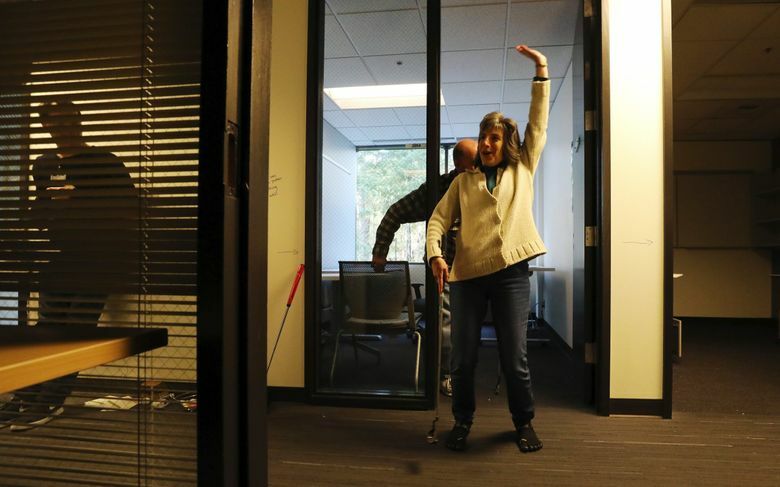 “Basically, you always go for the hole-in-one no matter what,” said Doug Klunder, a former engineer at Microsoft who worked on the first version of Excel, as he whacked the ball down the hallway. Building 2, where the Microsoft Alumni Network hosted the memory-lane portion of the event, already has been emptied of employees and is in the process of being decommissioned. Demolition is expected to start in January. Alumni at the sold-out event also had the chance to tour a newly renovated building on the other side of campus and see a huge 3-D model of the renovation. For employees of the early years of Microsoft, Buildings 1 through 9 (and excepting 7, which does not exist) will always shape their memories of the now-software giant. “I mean, we grew up here,” Fries said.